Cab drivers’ back seats must have seen a few things in their time, and I’m not talking about certain late night shenanigans better suited to more private locations. I’m thinking lost property – smartphones, laptops, wallets, and bags, left behind by forgetful passengers, or ones who’ve had a few too many and in such a sorry state would forget themselves if they could. It’s a nasty feeling when you realize you’ve mislaid something important, wondering if you’ll ever see it again, wondering who may have nabbed it for themselves. Judging by data from Japan’s Tokyo Taxi Center, cabs must be one of the most common places to leave things behind. The center said that an incredible 53,346 items were left in Tokyo cabs in 2012, and that’s only reported cases. In an effort to keep passengers together with their belongings, Japanese taxi firm Kokusai Motorcars has announced it’s working on a system that will alert passengers to forgotten items as they step out of the cab. The lost property detector system will be be tested in Tokyo this month and if effective could be rolled out on a wider basis by the end of the year. 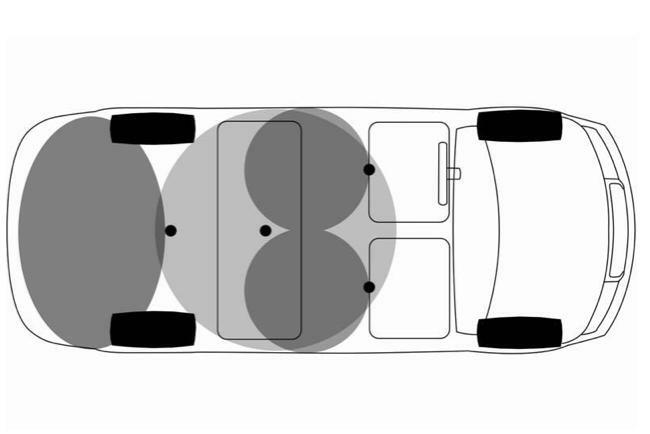 The system comprises four cameras – three above the cab’s back seats and one in the trunk. Prior to the passenger/s entering the vehicle, the cameras capture an image of the cab’s interior. As the passengers leave, another image is snapped. The two are quickly compared, with an alarm sounding if the system detects something in the frame that wasn’t there before. To protect passengers’ privacy, the system blots out facial features in the captured photographs.